In the summer and fall of 1933, a Los Angeles mining engineer named G.Warren Shufelt was surveying the L.A. area for deposits of oil, gold and other valuable materials, using a new device which he had invented. Shufelt had designed and built a radio-directed apparatus which he claimed was able to locate gold and other precious resources at great depths. He believed that the radio device worked on a newly discovered principle involving electrical similarities of matter which had the same chemical, physical and vibrational character. His device appeared to consist of a large pendulum suspended in a cylindrical glass case which was housed in a black box with compasses on it. Shufelt was extremely puzzled when one day, while taking readings near downtown Los Angeles, his instruments showed him what seemed to be a pattern of tunnels which led from what is now the Public Library in the heart of L.A. to the top of Mount Washington and the Southwest Museum to the north in Pasadena. He proceeded to draw a map and had it copyrighted. What he discovered appeared to be a well planned underground labyrinth with large rooms located at various points, and deposits of apparently man made gold in the chambers and passage ways. Some of the tunnels ran west for 20 miles under the Santa Monica Bay, which he believed were only used for ventilation. Unfortunately, Shufelt had no idea that they were connected to the older ruins of an even greater city which was covered by the Pacific Ocean thousands of years ago during a tremendous earth-quake and subsequent flood. 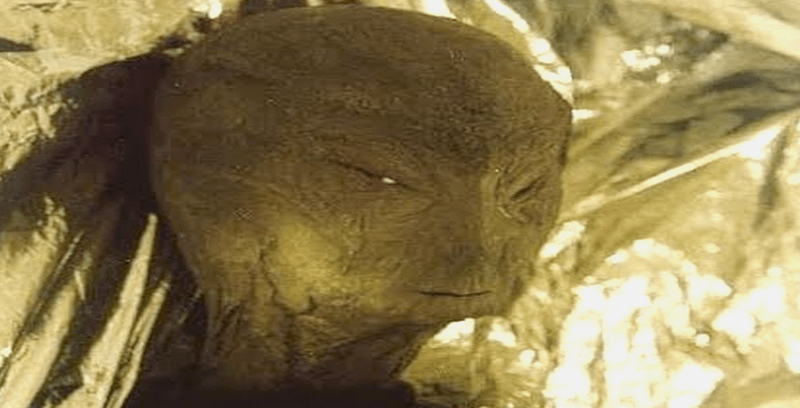 During his research, he met a Hopi Indian named Chief Little Green Leaf, who told him about the legend of an ancient race of “Lizard People”. The legends said that about 4,000 to 5,000 years ago, an enormous meteor shower fell on the western coast covering an area hundreds of miles wide. Winslow crater in northern Arizona is only one of the pieces that fell from the sky at that time. Thousands of people were killed, their crops wiped out, dwellings destroyed, and the forests set on fire. The surviving members of the medicine lodge, which had remained on the west coast, met to make plans for constructing safe areas. The sentinels of the sky gave their warning that it was time to enter the shelters and seal the shafts behind them-selves. They were forced to go underground to save them selves from a gigantic meteor shower which devastated most of the west coast of the US . The “Lizard People” of Los Angeles survived the meteor shower, but were killed by natural gas leaking into their bunkers. Shufelt believed that they had built 13 such underground facilities in different areas for such a purpose. One was located in the eastern section of Arizona in a small town called Springerville and was only discovered recently. Another was located under a hill which was surrounded by a curving ridge of mountains like the middle of a horse’s hoof. This is exactly the type of terrain seen in downtown L.A. in the area that is now the Board of Education, which is built over the ruins of the old Willis Estate on top of Fort Moore hill. Shufelt and his partner Chief Little Green Leaf were both convinced that the ancient legends and the readings from Shufelt’s mystery machine were true. They decided to obtain a permit to sink a shaft down into the ruins of the subterranean city. They located a vacant lot at 518 North Hill Street, directly above one of the largest rooms. On 21st February 1933, the County Board of Supervisors approved a contract with Rex McCreary, Warren Shufelt and Ray Martin to search for buried treasure there. The permittees were to bear all expenses, to leave the property in its original condition, and to share 50% of all discoveries and treasure with the city of L.A. The county originally only allowed them to dig up to depths of 50 feet for fear of cave-ins. On 27th March 1933 they requested additional time and depths on their permit, believing that the labyrinth of tunnels was at least 1,900 feet in length, with rooms containing 9,000 square feet which contained valuable gold treasure in at least 16 places. On 10th April 1933 the contract was renewed. By the end of November in 1933, the main shaft was at a depth of 200 feet. Shufelt was determined to drill to a depth of 1,000 feet if necessary. On 29th January 1934, the first stories regarding the leg-end of the “Lost Land of the Lizard People” made the L.A. newspapers. By this time, one of the five shafts was already 250 feet deep. According to the legend and the radio surveys, the underground city was laid out in the shape of a lizard, with its tail under the Main Library at Fifth and Hope, and the body extending Northeast, with the head being at Lookout and Marda near North Broadway. The key room to the city was located under Second and South Broadway. The leg-ends state that the key room is the directory to the rest of the city, and to the historical gold record tablets. These gold tablets were slabs of gold, 4 feet long and 14 inches wide. The tablets were believed to contain the records of the origins of the human race, and the history of modern man in the Americas, including details regarding the history of the mysterious Mayan people. Shufelt’s radio-wave machine mapped the rooms and tunnels as subsurface voids, with the gold slabs as dark areas, showing perfect geometric angles. The rooms, seven of which occurred within an area of six square city blocks, varied in size from 23′ x 23′ to 34′ x 42′. The room below the first shaft was 31′ x 42′, and the key room was the smallest. Water had seeped into some of the tunnels, and several of the rooms including the largest were flooded. Shufelt was prepared to use divers to explore the submerged areas when they finally broke into the subterranean city. Chief Little Green Leaf claimed that the “Lizard People” had been able to predict earthquakes and that he had also been able to do so. He had accurately predicted the destruction of the Long Beach quake on 10th March 1933, a month in advance. He believed that it was easy for anyone to tell 96 hours in advance when an earthquake was coming, because the needle on a compass would become demagnetized and refuse to point north. By the beginning of February 1934, the first shaft had reached a depth greater than 250 feet and was still being dug, despite difficulty caused by the water encountered in its path. Several newspaper articles featured updates on the project. Shortly after all the media attention was focused on this search for the lost city under L.A., the project was suddenly stopped and abandoned. On 5th March 1934, the shafts had been filled in and the contract with the city was canceled. Neither gold nor any other treasure was ever turned over to the County of Los Angeles. This is really not a true statement because it is necessary to excavate many hundreds of feet into the ground before a high-rise building can be constructed. Also, one should consider that sewage systems are all underground. And let’s not forget the new Metro Rail System, which rises up from many feet below the Civic Center before it speeds commuters on their way. Long ago even the Chinese dug tunnels around the area which is now the train yard. These red brick subsurface tunnels were used for their safe passage, from one end of Old Chinatown to the other and are now an historic landmark found preserved at Alvera Street. number of people have access to. The question is, who? Here is a reptilian relic that was found in Los Angeles in 1954 that neatly fits into the “Lost Land of the Lizard People” article [see NEXUS 2/19]. Enclosed is a photo of an artefact that is definitely very old, depicting a full-bodied dragon. The upper section of the medallion is made of pure silver that was somehow fused to a copper-alloy base which is composed of over 40 different types of metal. The medallion’s actual dimensions are 7/8″ (width) x 1/4″ (length) x 1/l6″ (depth). The man who found it, Mr G., was an aerospace engineer who lived and worked for the US Government in Chatsworth, California. The artefact was found while Mr G. was helping a friend, who lived on the northern shore of Lake Chatsworth, repair the wooden stairway to the front porch. Mr G. dropped his hammer, which fell into a soft sandy area, and when he reached to pull his hammer out he noticed this small metal medallion. Mr G. still has the artefact in his possession, and after much research feels that it belonged to an ancient race of space people named ALTEC, who left behind their influence on this world long ago. The Friendly or Sleeping Dragon is a very old symbol, one which has definite connections to UFO’s. I once had the opportunity to show a picture of a Pleiadian -style UFO to a man from Bhutan (near Tibet) and asked if he had ever seen such a thing. He replied that yes, they did see them often and that they were called “Friendly Dragon”. Chatsworth is located in Los Angeles County near the north-west border of the city and county lines. It is likely that a Chinese laborer lost this artefact while working in Chatsworth on railroad construction, around the turn of the century. There is a rail-road tunnel that was cut by the Chinese through a solid red rock ridge called the Santa Suzana Pass near the Chatsworth Lake. Old Chinatown is located in downtown Los Angeles and was built where the new rail-yard now sits. New Chinatown is built over much of the old tunnel systems that the first Chinese leaders had constructed for their ‘safety’ when they first arrived in the area. It is possible that engineer/inventor G. W. Shufelt did not know what he had stumbled onto electronically, and it is also logical that Chinese people would not admit to the existence of a secure system of tunnels and rooms they had worked so hard to build in secret. There may even have existed a series of older tunnels and rooms that the Chinese discovered during their own excavations and construction. However, the Federal Government definitely stepped in during the ’50s and took control of the entire underground tunnel system for their Cold War operations, adding many new paranoid-influenced improvements over the years that followed. In the ‘9Os, suspicious arson fires prevented well-equipped – ONI – intelligence operatives from gaining access to the secret entrance that was located in the basement of the so-called ‘public’ library. There is more to this story than can be told at this time. Take care, and keep up the great work with NEXUS.